The finest Arabica coffee beans from selected coffee farms in the world’s leading growing regions are in the Julius Meinl Espresso pods. A skillfully proportioned blend of the finest qualities of roasted, ground coffee for the Easy Serving Espresso System - ESE. The Meinl roasting mill celebrated its 150th anniversary in 2012, making it one of the oldest roasting plants in our range. The Julius Meinl story begins in 1862 when Julius Meinl I. opened his first grocery store, selling spices and green coffee in the center of Vienna. He created coffee blends and was the first to offer freshly roasted coffee for sale. Julius Meinl had found a new market and his innovation saved customers the challenge of roasting the green coffee beans on their kitchen stoves. Selling coffee roasted maintained a constant, reliable quality coffee blend. This innovation was accepted by the Viennese with enthusiasm and brought the young man great success. In 1891 Julius Meinl opened a modern roasting plant on the very site where the retreating Ottoman army had left the green coffee beans over 300 years earlier. Since then 5 generations of the Meinl family have been supplying customers with the world's finest coffees. For more than 150 years Julius Meinl has been Central Europe's leading Coffee Company. 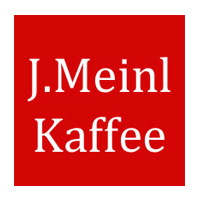 Julius Meinl operates in over 70 countries worldwide (Meinl Website) The Meinl Espresso pods contain high quality Arabica beans and are very simple to use. Each pod is individually wrapped to ensure optimal freshness and contains 7.3 grams of coffee, which is exactly the optimal amount for a perfect cup. The filter paper is taste neutral, bleach free and environmentally friendly. Try the high-quality ESE pads with a well developed and balanced Body from Meinl.